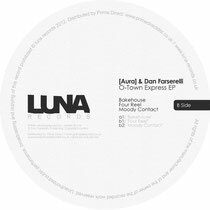 After releases and remixes from Chris Carrier, Hector, So Inagawa and DJ W!ld, Luna Records drops its 11th release this march – a collaborative effort from emerging talent [Aura] and Dan Farserelli entited ʻO-Town Expressʼ EP. 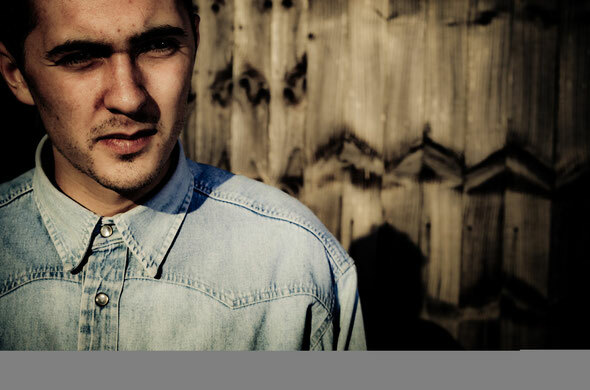 While [Aura] is current enjoying much praise for his Terence Dixon remixed ʻSplitting Atomsʼ, Dan Farserelli has become a regular fixture as a credible warm up DJ in London. Pulling raw, gritty drums and warm synth hits together, the ʻO-Town Expressʼ EP continues the labelʼs ongoing fascination with stripped back but powerful house. From the intricate drums and washed out delays of 'Bakehouse' to the moody acid tweaks of ʻFour Reelʼ thereʼs an effortless attention to detail across the EP. Closing track, ʻMoody Contactʼ, closes the release with an ethereal nod to classic techno that adds a further dimension to proceedings while never straying too far from earthy, bottom heavy house. Out on Luna Records 16th April.